Imagine waking up happy and positive thinking about the day ahead of you, and then you check out the mirror and spot a red bump on your face. Wham! The plans for the entire day come down crashing in front of your eyes. This is perhaps the most irritating part of acne and pimples, two of the most pervasive skin conditions. They tend to occur just a day before an important event. But the main question is, can you get rid of pimples overnight? The simple answer is yes. All you have to do is try out some easy peasy remedies, which we’ve covered in the article. Just keep scrolling. Pimples are lesions or inflammation of the skin that occur when the sebaceous glands or oil glands get infected with bacteria. The sebaceous glands, present throughout the body, except the palms and soles, secrete an oily substance called sebum. A moderate secretion of sebum is required to maintain the health and balance of the skin. But excess sebum secretion, caused mainly due to some abnormality in the sebaceous gland, lead to pimples and acne. Several lotions and medicines claim to treat the pimples overnight, but only a handful of them work. Besides, they are expensive too! So why not go the natural route? We’ve jotted down a few home remedies that can help you get rid of the pesky bumps overnight fast. Ice is your best bet to get rid of the pimples under the skin. It quickly reduces the swelling, inflammation, and redness of the pimples and improves the circulation to the area. Furthermore, it also removes oil and dirt accumulated in the skin and tightens the skin pores, preventing pimple breakouts in future. You just need to wrap crushed ice or ice cubes in a piece of cloth and hold it on the affected area for a few seconds to minutes. Repeat the process at regular intervals. Another excellent natural way to get rid of pimples overnight is by using lemon juice. Dip a cotton swab or ball in lemon juice and apply on the acne before going to bed. Note: Use only fresh lemon juice for this method, not bottled ones, which are filled with preservatives. Alternatively, you can mix one teaspoon of cinnamon powder to one tablespoon of lemon juice and apply it before going to bed. Wash the skin with lukewarm water the next morning. Note: this method is not suitable for women with sensitive skin. The antibacterial properties of tea tree oil can go a long way in fighting bacteria that cause pimples and acne. Moreover, the soothing properties will reduce the redness and inflammation that accompany the pimples. Dip a cotton ball or cotton swab in tea tree oil and apply on the affected area. Wash it off after 15 to 20 minutes. If you have sensitive skin, make a paste using one tablespoon aloe vera gel and a few drops of tea tree oil. Apply it on the pimples and blemishes, leave it for 20 to 30 minutes and then wash it off. Acne is very common during the first and second trimesters of pregnancy. Pregnancy increases the production of androgen hormones in the body, causing the glands present in the skin to grow and produce more sebum. This clogs the pores, leading to inflammation and breakout. Apple cider vinegar is one of the best natural ingredients to get rid of acne when pregnant. Soak a cotton ball with unfiltered apple cider vinegar and apply on the skin. Wash if off after an hour. If apple cider vinegar on its own is a bit too strong for you, mix three parts of distilled water with one part of apple cider vinegar. You will get a natural toner rich in naturally occurring alpha hydroxyl acids and enzymes. Use this toner every night before going to sleep to keep acne and pimples at bay. Being rich in antibacterial and antimicrobial properties, cinnamon and honey make a deadly weapon against pimples. Make a paste using one teaspoon of cinnamon and two teaspoons of honey and apply on clean face. Leave the mixture on the face for an hour or overnight and pimple will be gone the very next day. Did you know that milk of magnesia, one of the most common over the counter laxatives can help you get rid of pimples overnight fast? We bet you didn’t. Milk of magnesia draws out excess oil from the skin to get rid of pimples and acne. It even disinfects the region to prevent acne from recurring. You just need to apply a thin layer of milk of magnesia on the affected area and let it sit for 40 minutes. Do not leave it overnight as it can dry out the skin. Hydrogen peroxide is an antibacterial agent used to disinfect and clear the acne from the skin. Apply hydrogen peroxide only on the pimples using the cotton swab. Let it sit for five to seven minutes and then wash it off. The pimples will be less discernible after the treatment. Note: Hydrogen peroxide is suitable for all skin types, but it would be better to do a patch test before applying it to the skin. And ensure that you do not use it more than once a day. Listerine, a widely used mouthwash contains essential oils like thymol and eucalyptus, which can help kill the pimple-causing bacteria when applied to the skin. Soak a cotton ball in Listerine and dab gently on the pimples. Leave it until Listerine dries out. Wash it off and pat dry. Note: Do not use Listerine if you have a sensitive or allergy prone skin. It can cause further breakouts. Hot compress is suitable to get rid of a pimple on the lip, especially if the bump is swollen and hurts. Take a soft piece of cloth and soak it in warm water. Compress the area around the pimples with the cloth gently. 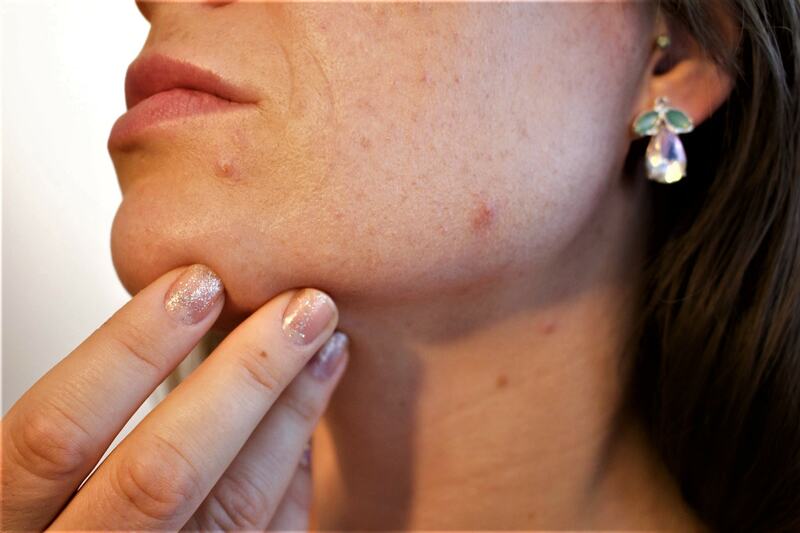 This home remedy will reduce the size of the pimple and mitigate the pain. If your lip pimple is due to an allergy, a cold compress can help. This might come as a surprise to most of you, but you can also get rid of acne with toothpaste. And no special toothpaste is required for it. Just the regular white one, which you use every day to brush your teeth would work. Toothpaste contains silica, a substance used in bags of beef jerky to keep the moisture away. The same way, toothpaste dries out and reduces the size of the pimple overnight. Apply some white toothpaste on the pimples and leave it overnight. Wash off your face with water in the morning. This method will help you get rid of the pimples overnight. If you want, you can repeat the process in the daytime too. Just ensure that the toothpaste remains on the pimple area for at least an hour. Aspirin in a cheap, but effective way to get rid of pimples overnight fast. The anti-inflammatory properties of aspirin reduce swelling due to the accumulated pus and unclog the pores to give you acne free skin. Prepare an acne mask by mixing crushed aspirin tablets with a few drops of water. Apply on the pimples using a Q-tip and wash it off when the paste dries. You can even leave it overnight if you want. This method works equally well for pimples on neck, forehead, cheekbones, chin, lips, back and other parts of the body. Glycerin, one of the most commonly used ingredients in lotions and creams, is an emollient and a humectant, which enhances the wound healing process of the skin. It also has antimicrobial properties, which can treat the pimples overnight. Apply a few drops of glycerin directly on the pimple and leave it for a few hours. Repeat this method several times a day for best results. Witch hazel, a natural astringent, is typically used by the doctors for cleaning cuts. When you put it on pimples, it tightens the pores and kills the bacteria that clog them. You can either apply witch hazel all over the face or just the acne prone areas using a cotton ball. The pimples will reduce in size significantly. Steam is wonderful for the skin, especially when you have pimples on the forehead. Steam opens the pores and rids the skin of dirt, oils, and bacteria trapped in the pore that causes inflammation or infection. Fill a container with hot water, lean over the container and cover yourself with a towel. You should let the steam come in contact with the face for a few minutes. Rinse your face with lukewarm water and follow it with an oil free moisturizer. Rubbing alcohol, medically known as isopropyl alcohol, is a disinfectant which effectively removes grime, dirt, and bacteria from the skin’s surface, helping you get rid of pimples fast. It also soothes the irritation and redness caused due to acne. Apply some rubbing alcohol on the pimples using a cotton ball and let it sit until the alcohol evaporates naturally. It will roughly take 15 minutes. Rinse it off with cold water when it dries. Note: Avoid this method if you have dry skin. Technically speaking, eye drops do not treat the pimple. They reduce the redness and swelling of the region, making it easier to conceal the pimple. Just apply 2 to 3 drops of eye drops on the pimples and leave it to dry. Wash it off with cold water and pat dry. Note: before using eye drops for concealing pimples, see that it does not contain any special additives. B complex vitamins, comprising of eight nutrients, are the best vitamins to get rid of acne. B complex vitamins convert fats, proteins, and carbohydrates into energy and encourage digestion. By doing so, B complex vitamins help build the nervous system and improve immunity, thereby contributing to the overall health and well-being. And this full spectrum is required to preserve the integrity of the skin as well. If you’re having acne flare ups, just spray vitamin B3 on it to decrease inflammation. The pimple will vanish overnight. And for the long run, take Vitamin B complex supplements and food. But don’t forget to consult your dermatologist before taking any supplement. 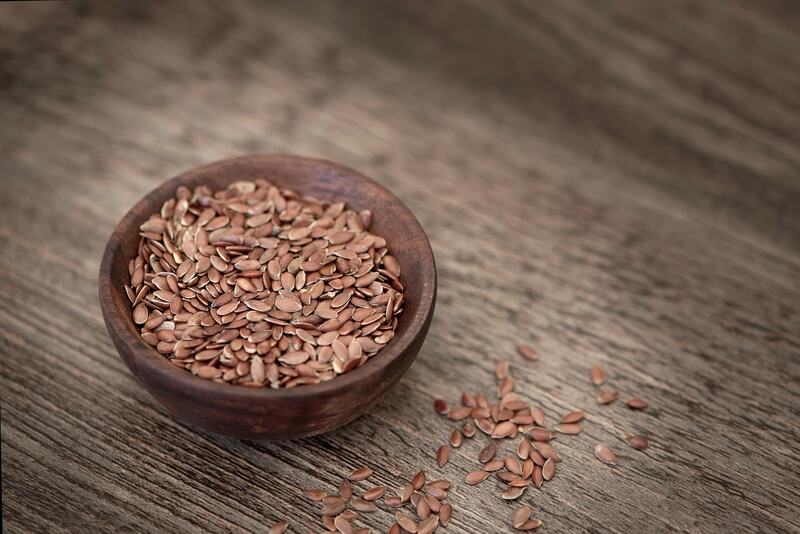 Apart from B-complex vitamins, zinc also plays a key role in cell regrowth and division. To put it simply, the mineral zinc aids in the development of skin cells required for clear skin. It also reduces the inflammatory response to acne bacteria. Therefore, people suffering from acne must include zinc in their diet. Wash your hands well before using any of the treatments or remedies. This will prevent the dirt and bacteria from spreading. And do not scratch, prick, pop or squeeze acne or pimples, no matter how tempting or gratifying it may seem. Not only will it increase the inflammation, but will also cause scarring. You are what you eat. So make some healthy changes to your diet. Eat a well-balanced diet rich in vitamins, mineral, and antioxidants. Keep your body and skin well hydrated by drinking 8 to 10 glasses of water daily. And steer clear of junk and processed foods if you want a smooth, glowing and clear skin. You also need to limit your consumption of colas, coffee, and alcohol. Firstly, you should try to minimize your usage of makeup products. They trap dust, dirt, and grime in the skin, which leads to acne breakout. And if you must, opt or makeup products labeled “non-acne genic” or “non-comedogenic”. And don’t forget to remove every trace of the makeup before going to bed. We strongly believe that these tips and home remedies will help you get rid of pimples and acne overnight. And if they don’t, do not get discouraged. You will notice a significant improvement in the texture and condition of your skin with every treatment. Have you tried any of these remedies to get rid of acne and pimples overnight fast? Did any of these methods work for you? Let us know in the comment section below.